My new electric soldering iron is my new favorite tool. First off its silent; my propane iron is so loud I that I can't hear myself think. Imagine working in your office with a running motorcycle parked next to your desk. Second, it holds heat unbelievably well, I can fully solder three panels without having to pause to let the iron heat back up. With its constant and even heat I am able to make more consistent seams with faster production times. With my propane iron I was able to fully solder around forty panels in an eight hour period, with the American Beauty 550W electric iron I was averaging around sixty panels in the same eight hours. This tool paid for itself before lunchtime on the second day. Third, it is a breeze to set up, all I need up on the roof is a heavy gauge extension cord. Just plug it in, set up your work area and in five minutes the iron is up to operating temperature. With propane or acetylene I need the tank, the hose, the ignitor, something to hold the tank and a nearby fire extinguisher. With the electric iron I don't have to worry about running out of gas, which always seems to happen at 5:45pm on the last two feet of seam to be soldered, that means coming back the next day and that costs money. 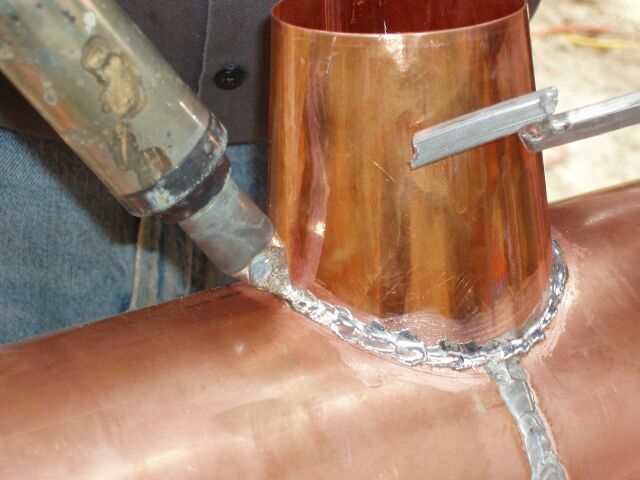 My company specializes in supplying and installing high-end custom copper gutter-work, and I've been using American Beauty's 300 & 550 watt heavy-duty soldering irons for years. From a technical standpoint, sheet-metal solder joints serve two purposes, establishing a physical connection as well as a hermetic seal. 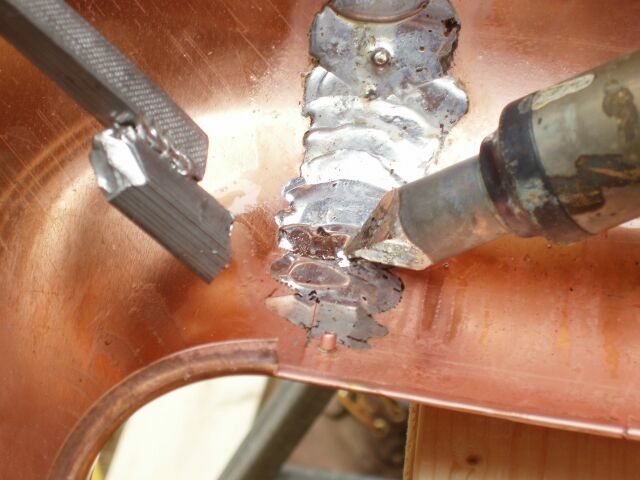 It is absolutely essential that these joints are done properly the first time, for repairs to leaky copper gutters after the fact will prove 100 times more difficult than simply doing the job correctly the first time. I can always count on my American Beauty iron to generate and maintain enough heat to ensure perfectly soldered seams. Hardwood handle provides superior thermal and electrical insulating properties and durability. Modular construction allows for easy replacement of consumable parts allowing for tools to last for generations.